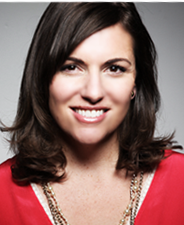 Amy Porterfield (@AmyPorterfield) is a social media strategist who helps clients “maximize the power of social media and increase the success of their online marketing efforts.” Amy provides actionable tips on social media engagement. She’s a great storyteller, as well – just read through the About page on her site. Instead, Porterfield encourages marketers to give email subscribers great value over time and make sure your messages resonate with them: in other words, treat them like gold. Your email subscribers should be valued on par with your customers. In fact, many of your customers are already on your email list. Wouldn't it be bad if they opted out? While my schedule doesn’t always sync up, I like to set aside some time on Friday’s to catch the latest “Whiteboard Friday” from Rand Fishkin (@randfish), Moz’s Co-Founder. Fishkin always has timely and interesting things to share – and the depth of his content is always impressive. As just one measure of content effectiveness, take a look at the number of Comments he receives (61 comments in the selected post above). I’ve been a reader of Marketing Profs for quite some time. I read the book Content Rules, which Ann co-authored with C.C. Chapman. I’ve attended a number of MarketingProfs webinars and online events. More recently, I read Ann's latest book, Everybody Writes, which was very good. My selected post is not from MarketingProfs, though. On her personal blog, Ann (@annhandley) provides an org chart for the content marketing team. Some organizations have a single person allocated to content, while others may have teams of hundreds. It’s not the numbers that are important here, it’s the roles and personas that Ann outlines. Did you see a role here that’s not filled on your team? Think about filling it. RELATED: Check out our presentation from a recent MarketingProfs virtual conference on content marketing. Things I look forward to each day: the sun rising. And Seth Godin’s daily blog post (@ThisIsSethsBlog). I’ve enjoyed a number of Seth’s books. On his blog, he takes a different approach. Each post is short and succinct. They deliver a key insight, or they make you think (or both). Jay Baer (@jaybaer) is founder of Convince & Convert, who “help you get better at social media and content marketing through audits, strategic planning and ongoing advice and counsel” (source: Jay's website). Kissmetrics (@Kissmetrics) provides web analytics software. Each blog post they publish is so rich in detail, I almost feel guilty getting it for free. Their blog content covers a fairly wide range of topics (i.e. more than analytics and testing). Because I need to allocate a fair amount of time to read and digest their content, I usually save pieces for later (i.e. outside of the work day), when I have dedicated time to read them in full. I’ve been reading Paul's blog ever since I worked with him a number of years ago. Paul (@pgillin) has published a number of books, consults with brands and speaks and writes frequently. Brian Solis (@briansolis) is a best-selling author and principal analyst at Altimeter Group. Jeremiah Owyang (@jowyang) is Chief Catalyst (and founder) at Crowd Companies. Formerly, Jeremiah was a research analyst at Altimeter Group. 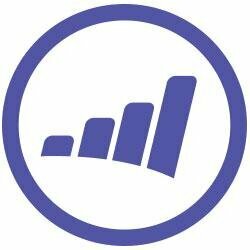 Marketo (@Marketo) is a leading provider of marketing software. Nearly every week, I learn something new about Marketing via their blog. RELATED: DNN's Evoq software has a number of built-in integrations, one of which is Marketo. We've assembled an infographic of these ten extraordinary thought leaders. Enjoy!